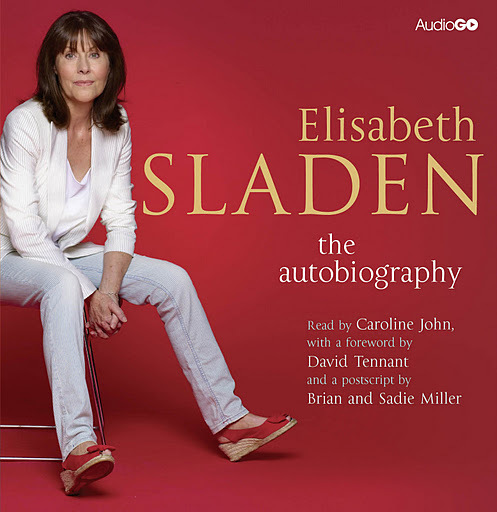 I can now finally tell you on which amazing Doctor Who related audiobook I was working on a couple of weeks ago: It was the Lis Sladen Autobiography. And I can’t tell you how emotional and what a great honour it was. I mean this was my first ever Doctor Who (related) audiobook which I edited from start till the very end. Neil then added the music in and did the fine edits for the master CD’s. Editing this book was very special to me. Sadly I never had the chance to meet Lis but she knew about me through Neil and I still treasure my BIG FINISH CD that she signed for me. I loved and admired Lis in her role as Sarah Jane Smith and even if I didn’t grew up with Doctor Who, SJS will always be my favourite Companion together with Tom’s Doctor! And while editing the audiobook version, read by Caroline John, I had so often the feeling that it was Lis telling me her story because Caroline just sounds like her! It was a brilliant choice to get her as the reader!!! So if you want to have a look into the life of the wonderful Elisabeth Sladen, then pre-order your Elisabeth Sladen Autobiography now! Enjoy this wonderful, emotional audiobook and let me know what you think. This entry was posted in Uncategorized and tagged audiobooks, AudioGo, BIG FINISH, Doctor Who, Elisabeth Sladen, Lis Sladen, Sarah-Jane Smith, SJA. Bookmark the permalink.